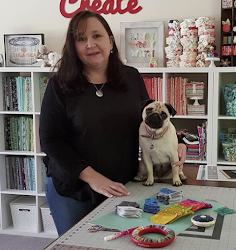 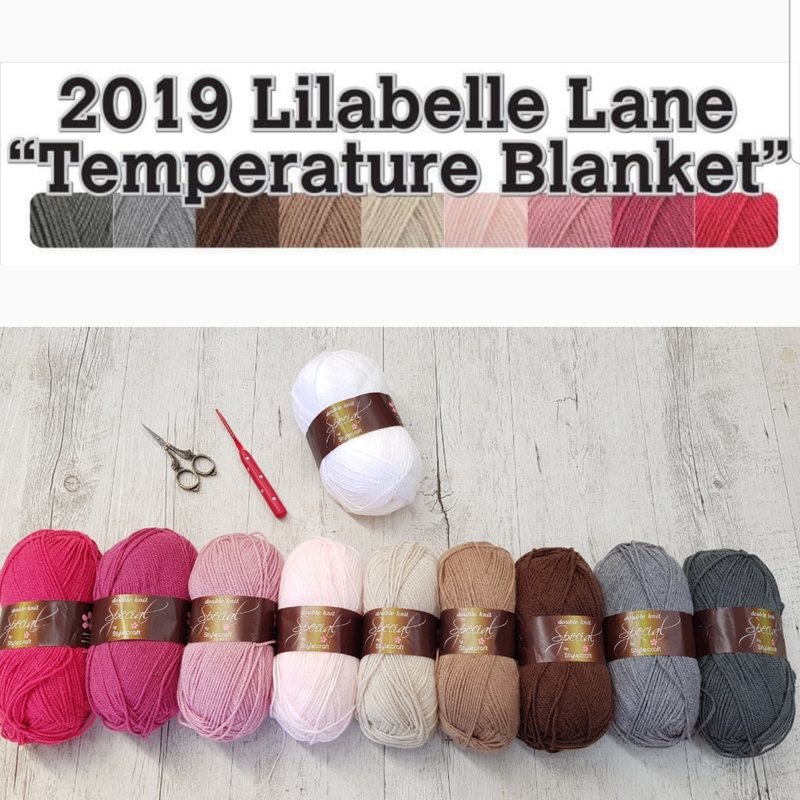 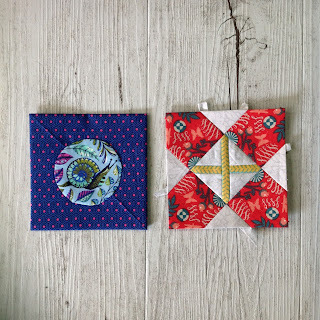 Lilabelle Lane: Dear Jane Goes EPP - I'm in! 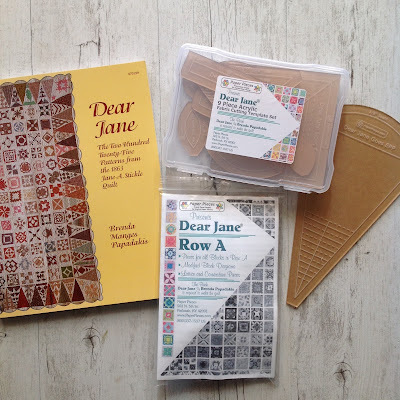 Dear Jane Goes EPP - I'm in! 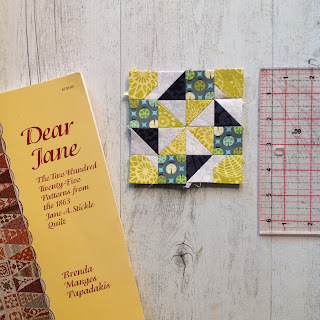 I have wanted to make a Dear Jane Quilt for so long. I may have even started one once before but it didn't get very far but now? 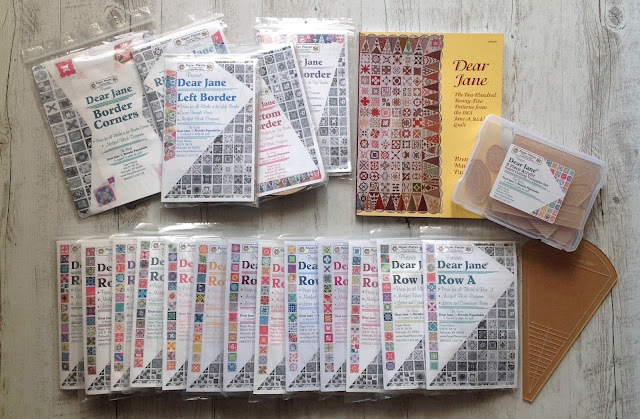 Oh my goodness, Dear Jane has gone all EPP and we all know that I have a slight addiction to English Paper Piecing. next big long term project and this is it. 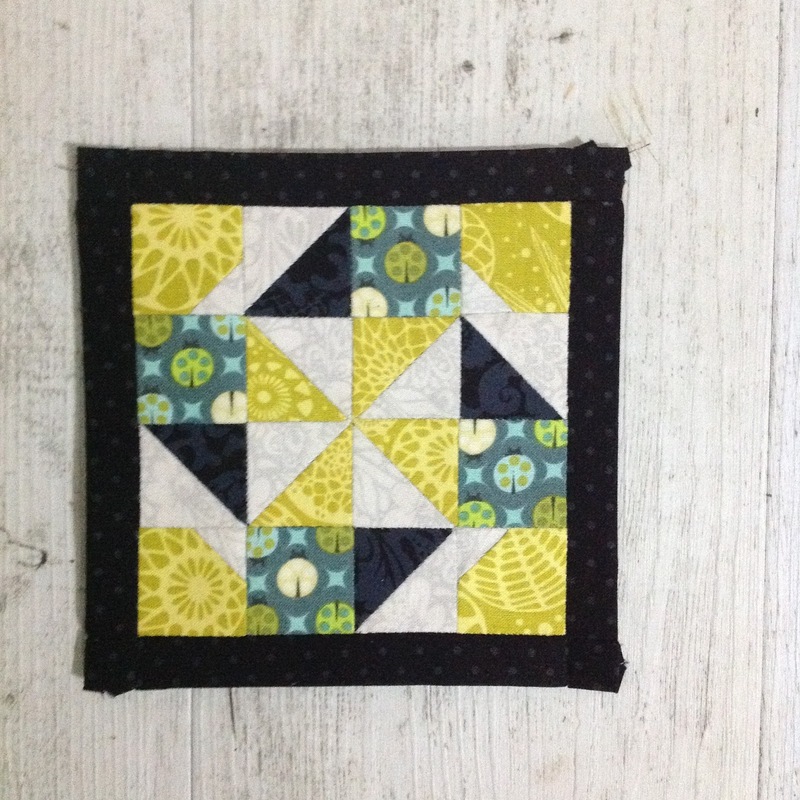 I am sashing my blocks in a Black on Black Spot. 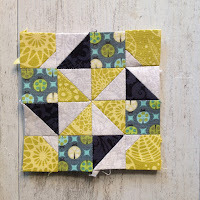 I am not a fan of appliqué so I have amended A3 to be a circle instead of 4 Orange Peels. A1, A2, A3 and A4 all sashed and awaiting the next addition. 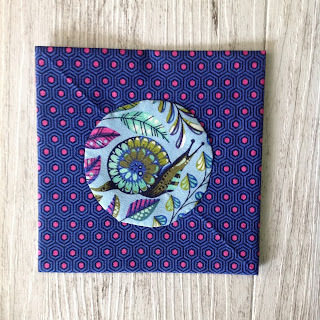 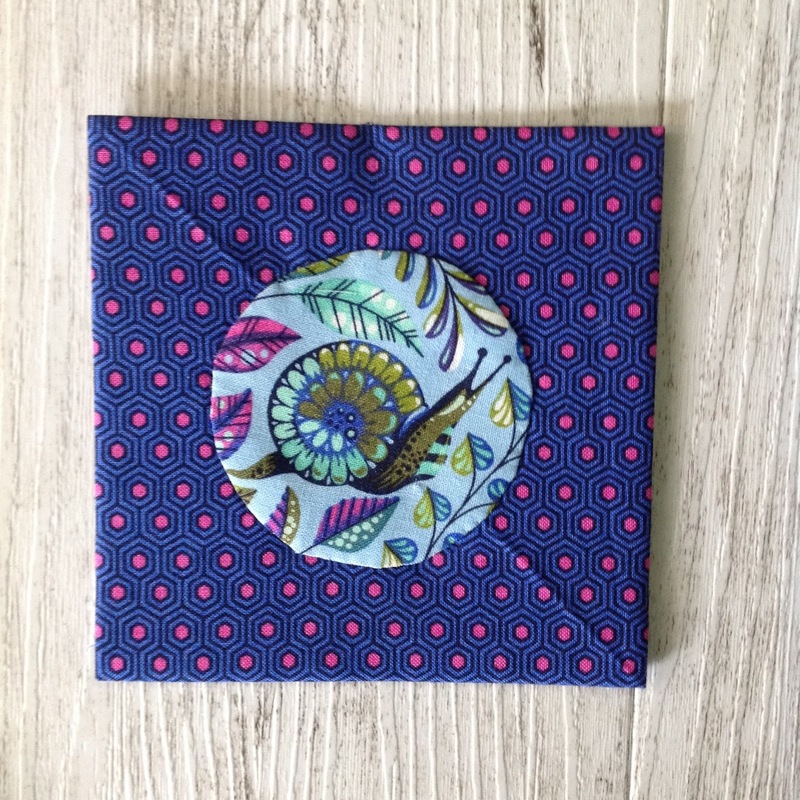 If you would like more information on the Dear Jane Quilt - Along and the Paper Pieces pack and Auto Ship program visit Paper Pieces HERE. Time to go digging through my stash and start the next block. 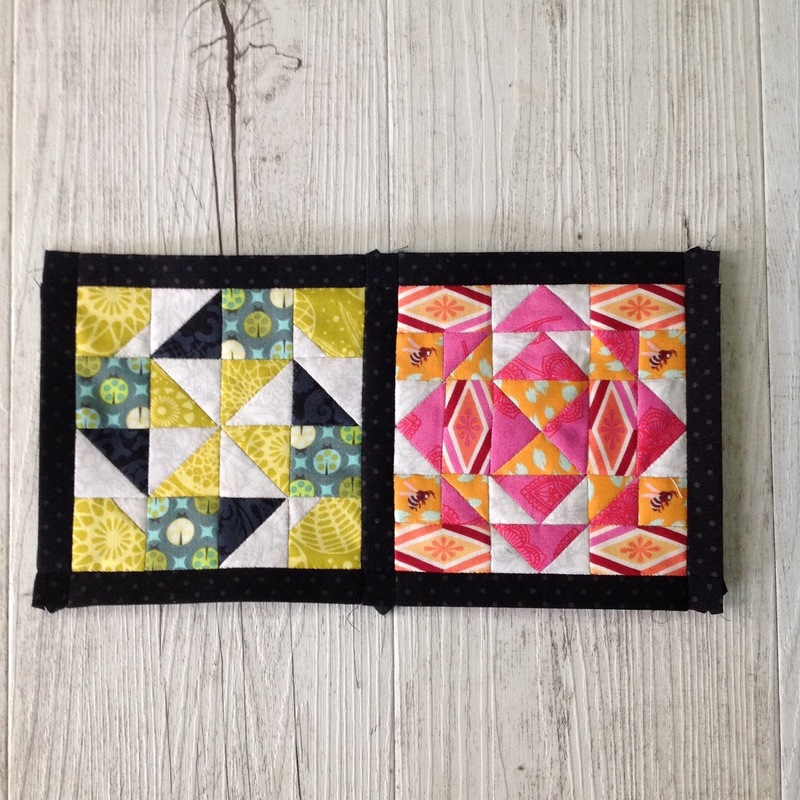 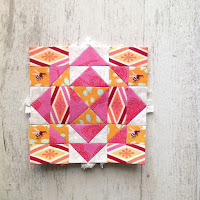 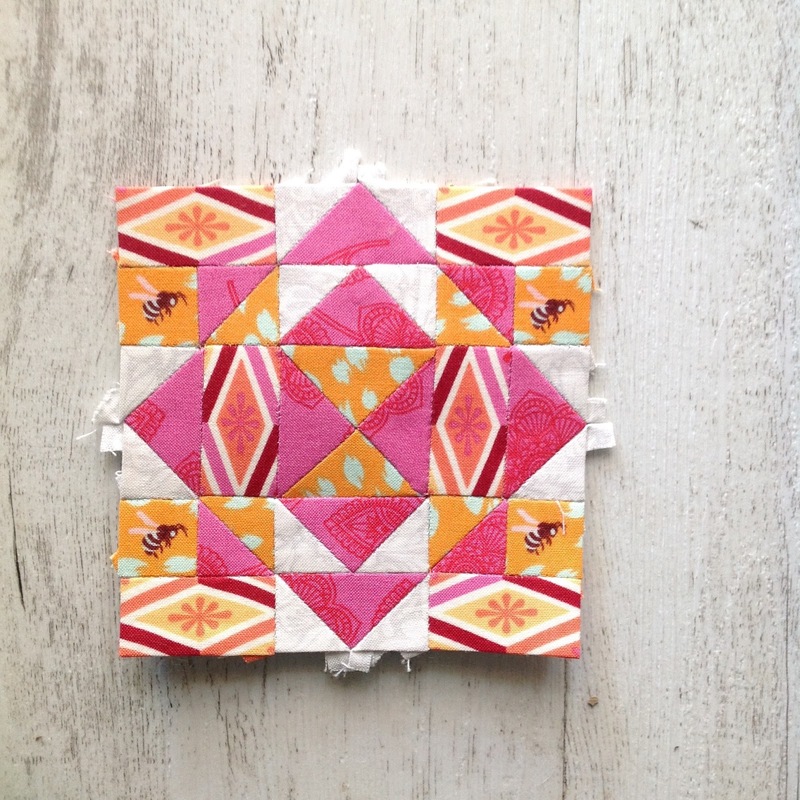 I love Tula Punk's fabrics and your first Dear Jane-blocks look great. 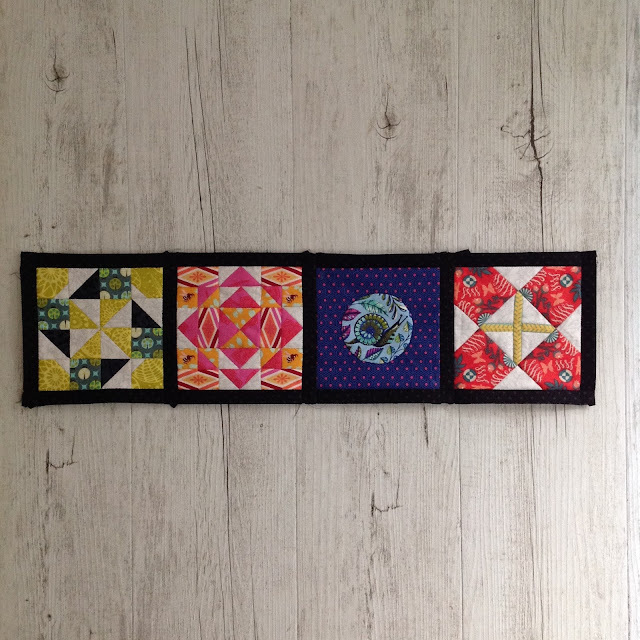 They all are sashed, a good idea. 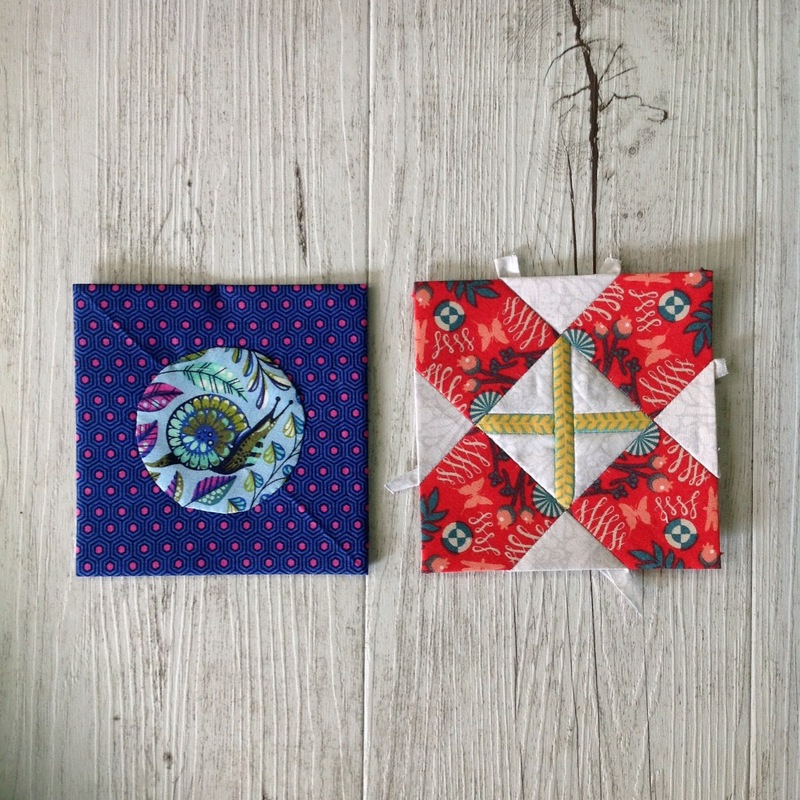 My Dear Jane is waiting for quilting (since several months).